The staff at Kiponda are warm and welcoming. I received immediate and helpful responses to all email inquiries. The staff assisted in booking transportation from the airport and was accommodating when our flight was unexpectedly changed at the last minute. Kiponda is ideally located about a block from Forodhani Park, the waterfront, House of Wonders, Customs House, lots of shopping, and the Old Fort. It was safe, secure, and clean. This is not the Hyatt, it’s a lovely old building in Stone Town, so set your room standards accordingly. Our room was on the top floor and the wifi signal was strong. We had an AC unit in our room and it kept us comfortable at night. Breakfast was lovely and we received made-to-order eggs. Thank you for a lovely stay, Kiponda! 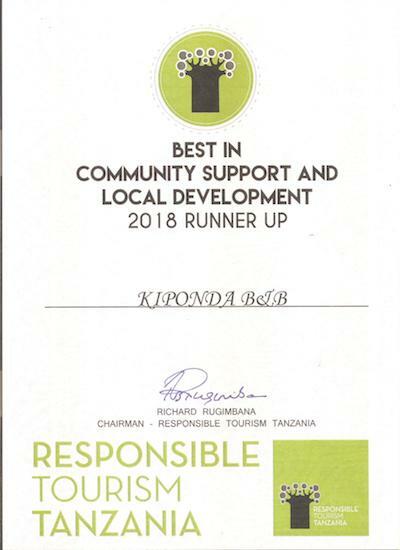 We would absolutely recommend Kiponda to other travelers visiting Stone Town. It is a very clean hotel with very good air-conditioned rooms. After our Bungalow trip (which was not bad at all!) through all parts of zanzibar we were really happy to stay in side of the walls of a good hotel like this. breakfast was nice on top of a terrace-like area. The host was happy to help with all our questions like, finding a good guide to show us around stone town on the first day (and i would really recommend getting a guide to show you around in stone town before going on your own! ), ordering a taxi to the airport the other day, putting stuff into storage before leaving. great service in a good and reasonable area of stone town. We stayed at Kiponda in December 2015. The building itself is so beautiful and the room was perfect and full of character. The rooftop dining area has great views onto Stonetown and apart from being able to eat breakfast there it was a lovely place to relax. Our hosts at Kiponda were really friendly and helpful and went out of their way to make us comfortable and assist us. All in all, it was a magical stay, highly recommended! Thank you for an amazing stay. Your warmth & hospitality is testament to what we refer as “UBUNTU” in South Africa. Thank for all the arrangements made to ensure my engagement was so very perfect! I have been in room #18 for four days and I think it must be the best of all rooms. Air condition works fine, hot water heater works fine, nice lights (energy serving but yellow and not bright), cute little bed side lamps, lovely mirror and good bed with cotton sheets.